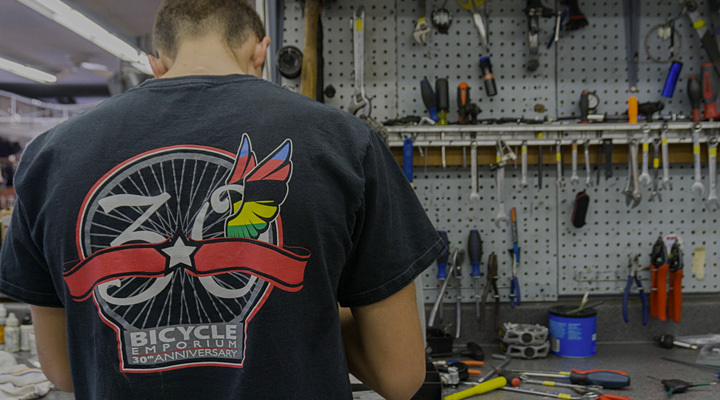 If you are self motivated and love bicycles and want to work with bicycling-oriented people in a fast-paced cycling environment call us today, Or better yet we accept applications year round for several positions here at B.E. We offer competitive wages, medical benefits and a great working environment. Download our employment application. (Word doc). E-mail the completed application as an attached file to bill@bicycleemporium.com or drop it buy in person. If you have trouble downloading the application, contact the shop and we will mail you one. Just checking in with an update on the C60 since I’ve been riding it for a while now. As you already know, this bike is truly amazing! Without a doubt, the best road bike I’ve ever ridden. It’s compliant yet, quick to accelerate when you ask it to. The second ride ever, I set the 4th fastest decent from the 25 mile marker on Mosquito Ridge all the way down to the circle bridge. 15 miles at an average speed of 38 mph for 15 minutes. The bike is so freaking stable! People ask me on a regular basis what I think and I have nothing but positive comments. Never so much as a mis-shift and the brakes are powerful. You build one hell of road machine man. Greg is digging his as well. He set a few PRs on his first ride out.